Morning sunrise over a farm in Vermont, the sky subtle shades of blues shell pinks and lavender. The darkness still keeps most of the farm in the shadows. Notice the silos are highlighted just a bit as the light starts to reflect of there shiny surfaces. 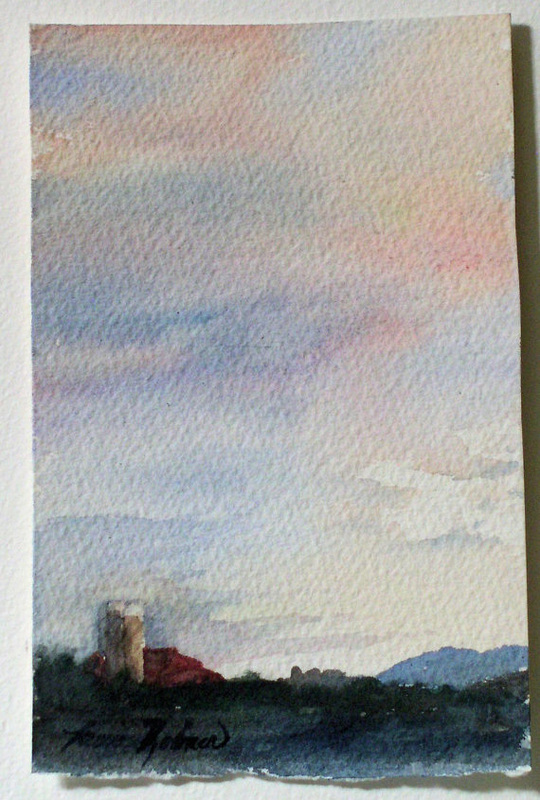 A wonderful small watercolor landscape nature art original painting by Laurie Rohner. 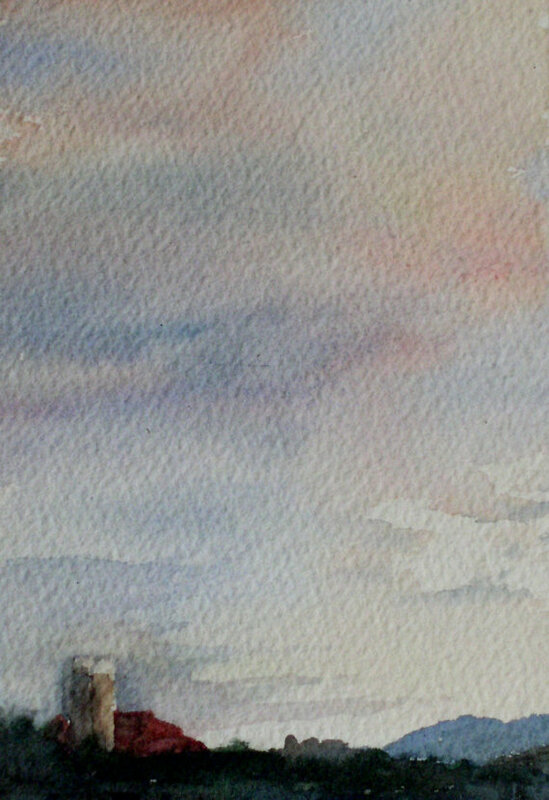 Palette: blues, pinks, lavenders, navy blue, dark red, brown, cream. 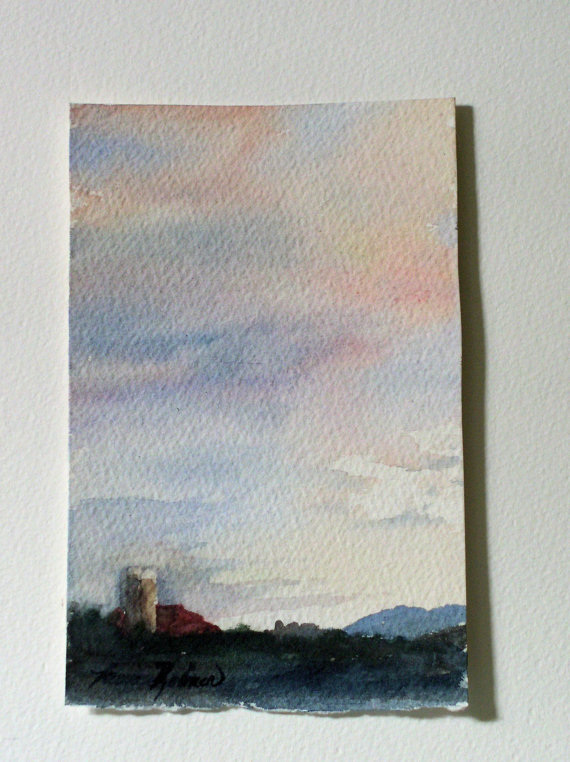 Paper size is 6" x 4"